Founded in 2011, Banyan Tree Yoga in Nashua has built a safe and sacred space committed to fostering a community of like-minded people and uncovering your true authentic self. Our mission is to provide a sanctuary where you can discover or deepen your yoga practice. The beautiful banyan tree is symbolic of the stages of life and the constant evolution that we all experience as human and spiritual beings. Our weekly schedule offers over 20 classes for beginners and experienced yogis alike. We believe that yoga should be accessible to everyone and we help make that possible by the variety of classes in our schedule, a monthly featured class with a discounted drop-in rate and frequent donation based community classes. Some of the weekly classes you will find on our schedule are Hatha, Prenatal, Yin, Yogalates, Vinyasa and Mommy & Me Yoga. On almost every weekend you will find workshops, specialty classes or trainings ranging from family yoga and beginners’ workshops to essential oils and advanced asana workshops. Whatever draws you to your mat, you will leave feeling peaceful, calm and better equipped to handle life’s challenges. Come in with an open mind and leave all expectations and judgement behind. 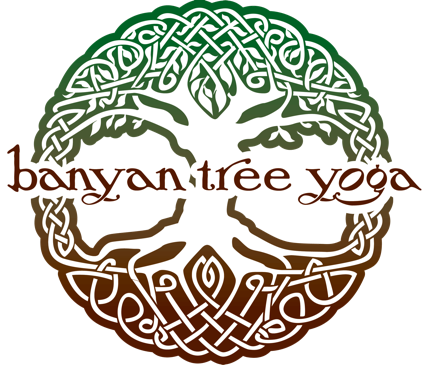 Banyan Tree Yoga is excited to partner with Maureen Miller of Yoga NH to offer the ONLY 200 hour Yoga Teacher Training in Nashua. Yoga NH is currently in its tenth year and the Nashua program runs January through August. Banyan Tree Yoga’s owner and director, Brandy Hill, was voted Best Yoga Instructor of Nashua in the HIPPO Best of 2013 Reader’s Poll! We are forever grateful to the BTY community for their recognition! We are real yoga for EveryBODY and we are here to serve you because we love what we do and want to share it with you!